We are finally in Bali (Indonesia) alter some kind of pilgrimage from the hi-tech Singapore to central Java, and finally to a spoiled place known as Bali. Now I will not focus on the details but one, while here, need to think about human evolution and human behaviour. 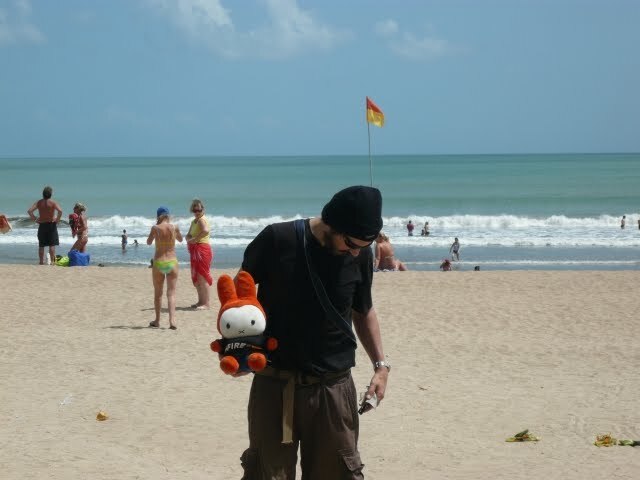 Anyways this is me with father bunny in Kuta beach (most abnormal specimens per square meter) including my father who was worried about his wallet and wearing a Thinsulate cap on a beach where the temperature was above 35 Celsius.